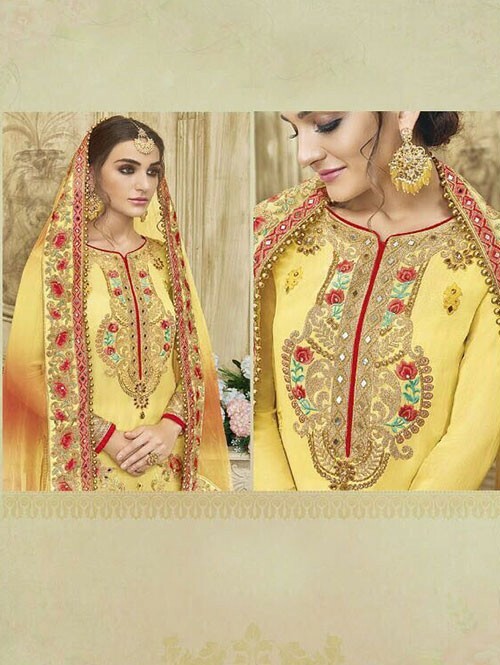 If those ready made suits don’t lend you a desired fit, then this Yellow Colored Beautiful Embroidered Faux Georgette Salwar Suit With four side embroidery less with latkan Dupatta Semi-stitched Dress will surely please you. This Embroidered dress will catch your fancy at once. Made from Faux Georgette, this dress is a worthy piece to invest in.